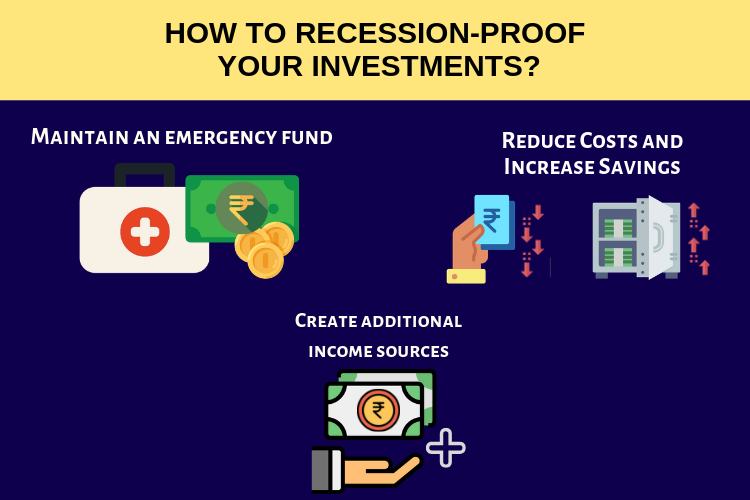 How to recession-proof your Investments? Have you recession-proofed your investments? Have you protected your investments from the recession? There is no meaning about rushing to buy an umbrella when it already rains. You should have bought it well in advance before the rainy season. Similarly, you need to recession-proof your investments, before the sign of recession. Like rain, recession can come anytime. Have you recession-proofed your investments? Just like the setting of the sun, economic hiccups too are an inevitable activity. It is a temporary yet bound to occur activity. Nevertheless, experiencing recession does not at all signify that we have to participate and get affected by its harmful effects. You can recession-proof your investments. Planning beforehand can surely help to keep your finances on track during the times of economic slowdown. If we make careful preparations when the economy is pretty stable, we can surely assure ourselves a financial life that is essentially recession-proof. In the times of economic plunge, implementing some everyday habits can void your fears and help recession proof your investments. Let us learn a few significant steps that you can take Today, to lessen the aftermaths of recession by recession-proofing your investments. This is the first and foremost important step in making your investments recession proof. To prepare yourself of a potential recession, you should build an easily accessible emergency fund worth of at least three to six months of your expenses. By not preparing during the usual times, you are actually setting yourself up for more expenses than required during the tough times. Therefore, it is much easier to build up an emergency fund than to recover from clearing your past expenses. If the emergency fund is not created, how does it affect your investments during the recession? During recession, your income may be less; you may not get loans. So when you need money for some urgency, you may need to withdraw from your long term investments. Because of the recession, the long term investment may be quoting at lower prices. If you withdraw your long term investments, you may be forced to sell at a lower rate and the notional loss in these investments may become actual loss if we sell them during recession. By creating an emergency fund, you can avoid this situation. Creating emergency fund does its part to recession-proof your investments. This is the second significant step in making your investments recession-proof. Always remember the thumb rule that says – ‘your job or paycheck is NOT certain forever. Even if you are happy from your great-going full-time job, it is never a bad idea to have an extra income source. This can be accomplished either by doing some consulting work, or selling archives online. With job security becoming non-existent these days, having an additional income source will be a great help especially in times of downturn. It is very obvious and evident that having additional income sources will recession-proof your investments. It is significant to build diversity in your investments to make your investments recession-proof. Try to create an investment portfolio in pairs that are not so strongly correlated. This implies that the two investments made balance out each other in case of inconsistency in the economy. Diversification may sound a very simple strategy. But it is a very powerful investment strategy in making your investments recession-proof. Make it a regular (each and every day) practice to live within your means. Doing this, you will be less likely to go into debts during price rise. Stop wasting your hard-earned money on extra and unnecessary things. Rather, concentrate on additional investments in mutual fund SIPs . Furthermore, clear any off your existing debts , organize your accounts and build up your retirement savings. 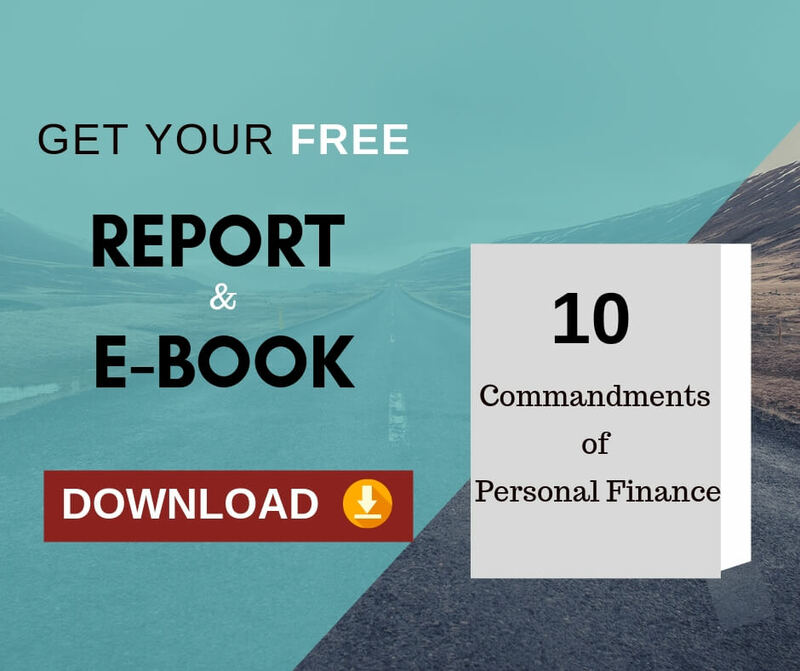 These will help you to concentrate on growing your income. Spending smartly and investing more will help you proof your investments against recession. Keep a long term mindset with making your investments. For a long-term strategy, it is important you keep your investments protected from the impact of recession. Rather than putting all your money in the stock market, do some serious investments in high-quality low-expense mutual funds. This will also make way for a diverse allocation of your investments and take advantage out of the same. Recession is a short term event. If you have long term investment time horizons, the effect will be removed when the economy recovers. Thinking long term investments are one of the good ways in keeping your investments recession-proof. Remember, you can’t recession-proof your investments once the recession has arrived. The second best time to recession-proof your investments, is NOW. To have long term success with your investments, having a well drafted financial plan will be of immense help. 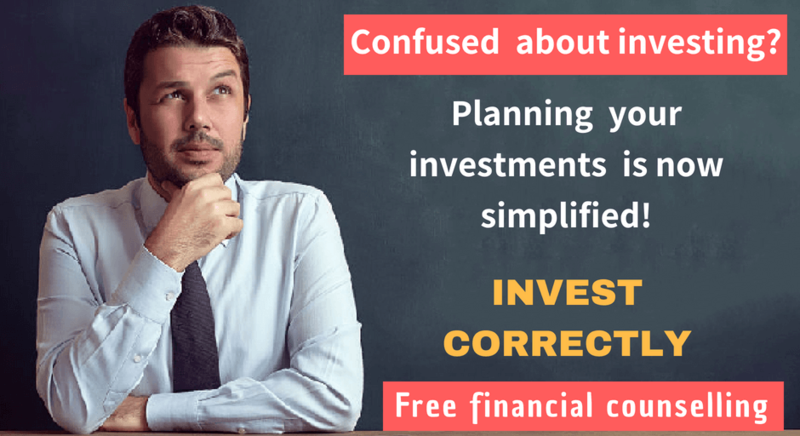 To create a sound financial plan, I strongly recommend you to take advantage of our 30 MINUTES COMPLEMENTARY COUNSELING OFFER.